Apple recently announced that it will not allow new apps that don’t have 64-bit support to the App Store starting February 1, 2015. Also, you get a warning about this when you submit a new app. After February, this warning will be replaced with an error. With the release of Apple A7 processor on iPhone 5S, the transition from 32-bit to 64-bit addressing has begun for mobile devices. Apple’s 64-bit processors (A7 on iPhone 5S and A8 on iPhone 6-6+) still support 32-bit instruction set. This means they can run apps that aren’t compiled for 64-bit architecture. However, when there are 32-bit compiled apps on a 64-bit iOS device, operating system loads 32-bit system frameworks along with 64-bit versions. It affects performance and leads to memory consumption. Therefore, Apple hinted that future iOS devices might not have 32-bit support with this latest restriction. You can see iOS 64-bit devices here: http://en.wikipedia.org/wiki/List_of_iOS_devices . 64-bit architecture provides larger address space and significant performance gain. You can easily compile your app for iOS 64-bit on XCode. Just change your “Architectures” build setting to “Standard Architectures (armv7, armv64)”. But there are some issues you need to check. For example, pointer and int types are both 32-bit on an 32-bit architecture. But on 64-bit system, an int isn’t sized large enough to hold a pointer. Also on Cocoa Touch, NSInteger is used to describe an integer. Most probably you were casting NSInteger results of Cocoa APIs to int for quick-typing. That needs to change, because NSInteger changes its size on 64-bit. We have been already compiling and testing Smartface iOS apps on 64-bit for a while. 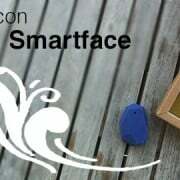 Again with another case of fragmentation, there’s nothing for you to worry if you are using Smartface. App security mistakes for Android and iPhone are generally a lesser prioritized area for a mobile developer, mostly because due to the time pressure. It does not usually get what it deserves in project plans. Moreover, in case of absence of a security owner in project teams, no one claims responsibility. That’s why mobile app security is a matter of attention left only to the developer’s initiative. Security and Usability are two concepts that are inversely related. Highly secure solutions require additional processes and flows. However, most business units, working directly with consumers, don’t consider app security as the first priority. In practice, nobody brings out a security concern unless something really goes wrong in case of “hacking”. Most application developers are not taking care of specific Android security and iPhone security tests. (Application Security Test). Always keep in mind the principle that No app is %100 safe! What Should You Do for App Security? 1. Data Store Approach: First of all, sensitive data should not be stored on the device during runtime as much as possible. Data can be processed in case of need and should be deleted immediately when not needed. In case of a data storage need on the mobile device, data should be encrypted and stored in the documents folder. Passwords should be stored in KeyChain for iOS and KeyStore for Android security. This is also important for app store security checks. 2. Missing front-end validation: Missing data entry validation causes both security and formatting issues. These may be things like letting alphanumeric values in numeric fields, missing masking on formatted fields, not checking for high risk character values such as <>` ” ()|#. Such missing validations may cause security breaches by allowing remote code execution or unexpected responses. 3. Server Based Controls: Application development is a client side operation. Server side is the place where you should store and manage the data. Server side checks should be applied regardless of channel (mobile, web, etc…) for data security and formatting. We do not mean iCloud keychain or a similar feature, please take care. This is about the app-specific backend security. There are also security concerns for Apple iCloud, however this is Apple’s work to do it more secure! 4. SSL: HTTPS must be used for secure transmission of sensitive information. If possible, a custom certificate should be used instead of the certificates from the built-in device certificate store. The certificate that is unique to the app and the server should be embedded inside the app. 5. Obfuscation: It is very important especially for Android apps to go through obfuscation. If script files are also used in parts of the app, these files should be taken through obfuscation as well. 6. Comment Lines: Explanatory data, included as comment lines may be viewed by others if the application is decompiled. This is very simple but a common mistake both for Android and iOS apps. This does not mean that you shouldn’t use comments during app development, just don’t forget to remove them from the production version of your app. 7. Excessive Permissions: When editing permission preferences for Android apps, only the permissions that are absolutely needed should be enabled. Permissions with access to personal information, such as “access to contacts”, should be avoided as much as possible for Android security. If anything goes wrong, there is less chance of a data breach. 8. Encryption: The key used in encryption should also be encrypted and stored in secure storage. The installation file should also be obfuscated. Another dangerous practice that should avoided is the downloading of the encryption key from server during runtime. 9. Rooted/Jailbroken Devices: It is not possible to store totally secure data in rooted devices as root permissions provide unlimited access to the device filesystem and memory. However, it is possible for developers to check if the device is rooted or not. This risk should be noted and evaluated based on project scope for all flows and processes. 10. Application Tampering Protection: The application binary files (.apk or .ipa) can be altered and published in different markets by hackers. They may inject malicious code in your app or they may crack mobile apps to bypass license and payment restrictions. Nowadays it’s even possible to crack in-app purchases and license checks just by emulating app store responses. Therefore, application integrity and in-app purchases should be checked with a third-party trusted server to prevent such cases. For this purpose, there are some good solutions available in the market. Again, this is very critical for Google Play and iTunes App Store security. If you are developing your app with a Platform-Based Approach (Obj-C, Swift, Java) the items above should be managed entirely by yourself or your team. However, if you’re using a cross-platform native framework approach, most of the items above are covered by the mobile development framework for mobile app security. Download Smartface App Studio and iOS emulator on Windows PC! x86 on Android, How it Works? Intel makes x86 on Android ready. There’s starting to be more and more Intel Atom and other x86 based Android devices on the market. Currently most of the apps are only compiled to run native ARM code, which can’t run natively on x86. Intel has solved this problem by adding binary translation technology for its Atom processors. It translates ARM native code on the fly to x86. This sounds very nice, but unfortunately this doesn’t come without sacrificing speed and optimal memory usage. In some cases the app might even crash if it is binary translated. Is it possible to write native x86 apps on Android? Yes! Alternative to binary translation is of course compiling native code directly for Intel x86 architecture. This will guarantee fast apps, optimal usage of platform resources and otherwise bug free code will run without crashes. But isn’t Java native Android? Often when talking about native code people mean programming with Java using native UI libraries of the device. However this isn’t really native programming, but just using native UI libraries while the code is run by virtual machine. Virtual machine translates the code to machine code and is because of this obviously slower. What we did with Smartface App Studio for True Native on x86? Smartface App Studio implementation is true native implementation. By this we mean that majority of the code is compiled to run directly with a processor of the device. At the same time Smartface App Studio supports the native UI of the platform. This is done by thin layer of code compatible with the UI libraries of the platform. Smartface supports natively both ARM and x86 processors providing you a hassle free way to create apps running optimally on all mobile devices. or just say “Hello” to fragmentation issues on iOS with iPhone 6 and iPhone 6 Plus! You have fragmentation problem and Do you know that? Not much, just 2 years ago during these days; iOS developers just had one screen size to take care of. There is no fragmentation problems, there is no OS differences, nothing to care about like Android developers! However, everything is changed completely for iOS developers now! With point system, designing your app for 3:2 aspect ratio and providing normal (iPhone 3GS) and retina (iPhone 4/4S) image resources was enough for a solid application design. In 2012, when iPhone 5 was introduced with it’s 640×1136 pixels screen, things were starting to chance for Apple too. But last week, Apple announced two new iPhones with bigger screens: iPhone 6 and iPhone 6 Plus. This time again, they sticked to the plan and keep the screen pixel ratios at 16:9. Noting that, 91% of users have iOS 7 now; we can opt out the devices that won’t be able to switch to iOS 8 will be obsolete soon. So iPhone 4s is an outsider with it’s 3:2 screen. Finally we have iPhone fragmentation here with 4 devices. Just 4 devices might not seem a real one; but considering the usage and adoption of iPhone devices around the world, we need to think again! Here we have 3 screen categories with 326 ppi and one iPhone 6 Plus with 401 ppi. All (except 4s) have 16:9 screen ratios. It won’t be much problem for developers to support every one of them at the same time. If iPhone 6 had bigger screen than this, images will start to seem blurry even the ratio stayed same. But 0.7 inches of increase is not a case. On the other hand, the phablet actor of the latest announcement changes it lot. It has 401 ppi and 5.5 inch screen size. Here we have more density and significantly bigger screen than current device adoption. iPhone 6 Plus has 5.5 inch screen with 401 ppi! So, Apple will start to encourage using Image Asset Catalogs  and size classes introduced with Xcode before. Also auto layout feature won’t be enough itself, because when density and size fragmentation increase, you will need to prepare different images and fit your fonts to screen more attentive. @2x images were the salvation for retina displays, now @3x is on the way for iPhone 6 Plus. Let me remind you another thing: Apple Watch. Do you think it’s screen will fit in categories above? Apple Watch is completely out of category and you’ve never ready something like that before! The good part of all these complexity, we have better devices with bigger screens and powerful processors. Why you’re taking care that much and sometimes even not get a right solution with screen fragmentation, instead of bringing your creative native app ideas into action? Smartface App Studio is handling Android fragmentation (please see the picture above again) for you since years. Just check how it’s possible with Smartface App Studio? Fragmentation is the stage of us, you can just perform your “application development” show. The CitySDK API is a linked data distribution platform being developed by Waag Society. CitySDK enables the linking of (mobility) data sets and city services. Linking a database with planned roadworks to a route planning service for instance or enabling citizens to report the nuisance due to roadworks or even better. Let them offer alternative routes to their fellow citizens. What Smartface App Studio can do more with CitySDK? Now you can create a cross platform mobile app that will fetch data from CitySDK API and show it on a map view as pins. We will be develop our iOS and Android app on Windows PC with single code based environment. It supports from iOS 6, iOS7, iOS 8 and all Android versions from Android 2.3.3 to Android 4.4.x. You can check the detailed information and developer guide from our Developer Center. iBeacon is a new technology that extends Location Services in iOS. Your iOS device can alert apps when you approach or leave a location with an iBeacon. In addition to monitoring location, an app can estimate your proximity to an iBeacon (for example, a display or checkout counter in a retail store). Instead of using latitude and longitude to define the location, iBeacon uses a Bluetooth low energy signal, which can be detected by iOS devices. With iBeacon technology you can detect beacon devices or make your iOS device act as a transmitting beacon. Download Smartface App Studio and start developing iBeacon projects instantly with iOS emulator on Windows PC! Detecting a Beacon: The iBeacon framework can understand when you enter the region of a beacon. When you are in the region you can query it to find out information about it. Broadcasting: We will set a UUID to the app then it will start broadcasting this UUID and the receiver app will be able to detect. You can find the detailed article about “Using iBeacon with Smartface App Studio” from our Developer Center and a sample iBeacon project on GitHub. More Bluetooth Low Energy features will be implemented in next releases. Please see our roadmap for details. Main part of the development process requires adaptation of the application to different screen sizes and resolutions on different devices, just like the different screen sizes of iPhone 4/4S (3.5″), iPhone 5/5S (4″), iPhone 6S/7 (4.7″) and iPhone 6S/7 Plus (5.5″). It’s a well-known fact that virtual device emulators and simulators are very slow on many platforms (like Android). Hence, the real product may appear different on real devices than it appears on virtual emulators in many cases. Moreover, network operations may present different cases on real devices. For instance, Xcode uses an iOS simuator for performance, but as the name indicates, it’s just a simulator, not a real device emulator like Smartface iOS emulator. Thus, most of the developers choose real devices for testing. It might look OK at first glance, but what about iOS development on a Cross-Platform solution? Due to Apple’s restrictions and the limitation of some Cross-Platform technologies, there are no solutions other than Smartface that support iOS development on a Windows or Linux machine. Other frameworks either don’t support iOS development on Windows at all or they can’t publish or emulate apps on an iOS device without a Mac. This is a big handicap for Cross-Platform development. Smartface makes it easy to develop for iOS and Android on Windows with a new perspective for developing applications on Cross-Platform technologies. Smartface allows you to emulate your iOS and Android application on a Windows PC with a single click. To emulate your application on any iOS device, like an iPad emulator or an iPhone emulator, download Smartface app from the iOS App Store and connect your iOS device to your Windows machine. Make sure you have iTunes installed for your PC to recognize your Apple device and then start developing a native application with Smartface. For the Android case, just set Android SDK path in your project settings in Smartface and click OK. It quickly generates the files in less than a minute and deploy it to the device. You can use a virtual Android device as well. Smartface WYSIWYG design editor on Windows and same output running on Android and iOS emulators. Android emulation is already known but you might wonder how emulation works on iOS. The main idea stems from the approach “if iTunes does it, why can’t we?” and we got to work on the solution. Now, we proudly introduce a brand new perspective about it. Moreover, it’s not just an emulator, it also functions as an Android and iOS debugger on Windows. Therefore, you can debug your apps with full debugging features such as breakpoints, watches and real-time code changes. We are doing everything we can do to make sure the emulation is the same as real deployment process. You can be confident about everything being exactly the same as you developed and it only takes a few seconds to see your application in action. That’s why we named our helper app as “Smartface in Action”. We will be introducing other cool ideas about mobile app development in the near future and keep yourself ready to hear new cool stuff from us. Stay tuned! Please note that these “on-device emulators” are for development purposes and they only work with apps developed with Smartface. They require a real device as the name implies. Therefore, apps downloaded from the App Store (such as iMessage, Garage Band, Snapchat, Clash of Clans, etc.) will not work with Smartface on-device emulators. Since you need a real device, you can always download those apps directly to your device. What is an Application.OnError and How We Handle It? BTW: Here is our Tips & Tricks document and some code examples about Application.OnError statement. https://www.smartface.io/wp-content/uploads/2014/03/application_error.jpg 270 720 emreb https://www.smartface.io/wp-content/uploads/2016/02/logo_new_blue2.png emreb2014-03-05 16:04:292014-12-25 08:24:37What is an Application.OnError and How We Handle It?